Just like its namesake song, the YMCA is quickly becoming classic of a bye gone era. 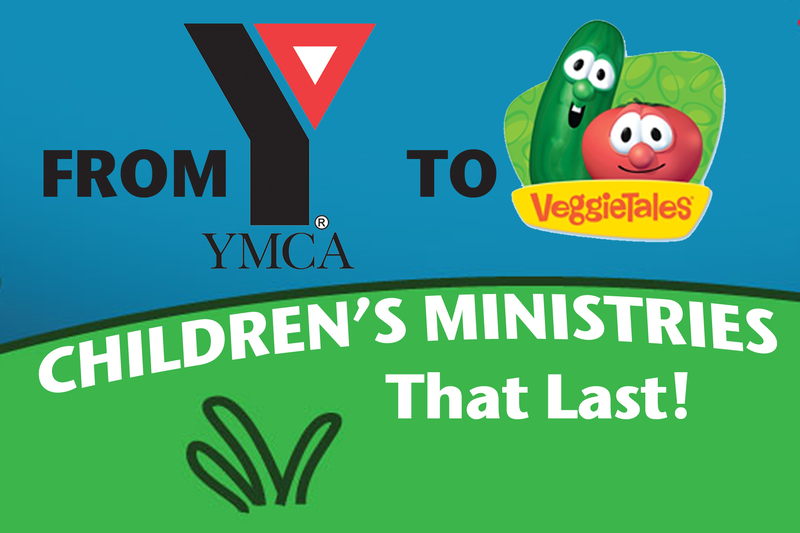 The Christian gyms famously devoted to reaching young men are being replaced with Veggie Tale concerts, Winshape Camps, and a wild assortment of other pubescent activities. Every day churches are updating nursery facilities, hiring children’s pastors, and launching new kids’ programs. Children’s ministry is the new youth ministry. And in many ways the focus upon children’s ministry is a good thing. According to Ken Ham, some forty percent of those who leave the church decide to check-out during their elementary or middle school years. [i] We need to do a better job of reaching our children for Christ. But before we hire a themer or create the hottest new curriculum, we need to ask ourselves what is the goal of children’s ministry? According to scripture, the twelve and under program should consist of the following three headliners: the gospel, parents, and discipleship. Before we can look at putting together an A-list children’s ministry, we first need to understand our audience. All babies and infants (and I would argue a majority of preschoolers, elementary students, and middle schoolers, “the intention of man’s heart is evil from his youth.” Gen. 8:21) first encounter children’s ministry as an unbeliever with little to no knowledge of the gospel. What do we do with these precious little ones? First, we introduce them to the gospel! According to Deuteronomy 6:1-25, we are to teach our uniformed, little sinners the word of God through Sunday school lessons and through our actions. We do so hoping that the Holy Spirit will spark questions in the hearts of our children that will burst into the glorious flame of salvation. As Paul says, the law is the tutor, the teacher, by which we come to Christ (Gal. 3:24). Before we bring out Lottie Moon or anything else, let’s expose our children to this firm yet wonderful teacher. Secondly, we need to welcome parents onto the children’s ministry stage. In Deuteronomy, Moses charges parents with the primary responsibility of reaching their children for Christ. We are told that children will ask parents (not pastors or Sunday school teachers) about spiritual matters. Consequently, I believe equipping parents to disciple their own children is one of a children’s ministry leader’s most important tasks. As I look back over my time in children’s ministry, I have seen ample evidence of this truth. The number of children who came to Christ while interacting with their parents far out paces the number of professions made at camps or vacation bible schools. Not surprisingly, every child that I have counseled has come to my office accompanied by a loving parent who has been fielding their child’s spiritual questions. Let’s strive to equip our parents to bring up their children “in the discipline and instruction of the Lord” (Eph 6:4b). During the next few weeks, I look forward to tackling the subject of “leading your child to Christ” in more detail. Thirdly, we introduce these warmed up crowds of little people to discipleship. Regardless of our audience’s age, we are called to make disciples not converts (Mathew 28). Consequently, we should make truth for growth a valued member of our gospel focused, children’s ministries. We should teach on Ephesians 6, encouraging our children to obey their parents. We should teach young Christians to put on the “tender mercies, kindness, long suffering” of Colossians 3. But, we must do so in a manner that also recognizes many of our listeners lack regenerated hearts and gospel knowledge. As children’s pastors, teachers and workers, we must remind all the souls under our influence that the Christian life is impossible without Christ. We must constantly show our children their sin and then introduce them to the Jesus who saves and transforms all who call upon his name. Who knows if Veggies Tales will become a heralded classic or if the cute vegetables will return to forgotten produce isle? But this we do know. The word of God will never pass away (Mat 5:18). If we faithfully build our children’s ministries on the Bible by proclaiming the gospel, equipping parents, and on discipling children, we will escape the bounds of irrelevance. [i] (Ham, Beemer and Hillard 2012,) Ken Ham also points out that another 50% of those who leave church decide to do so during high school. I wish in no way question the validity of youth ministry as it has a special place in my heart. I came to Christ under the preaching of a faithful youth pastor. I only wish to point out that the enthusiasm of yester year that went into youth ministry has now been redirected towards children. Fitzpatrick, Elyse, Jim Newheiser, and Dr. Laura Hendrickson. When Good Kids Make Bad Choices. Eugene: Harvest House Publishers , 2001. Ham, Ken, Britt Beemer, and Todd Hillard. Already Gone: Why Your Kids Will Quit Church and What you can do to Stop it. Green Forest: Master Books , 2012. Ryle, J.C. The Duties of Parents . Codex Spiritual Publication , 2012. Wright, Steve, and Graves Chris. A Parent Priviledge: That the Next Generation May know. Wake Forest : In Quest Publishing , 2008 .